From all of us at Area3, we wish you a very Happy New Year! If you haven’t already recovered from your holiday food coma, we have something that will keep it going. Every year, many Vancouverites look forward to Dine Out Vancouver Festival – a 17 day event in which many Metro Van17-day’s finest restaurants participate in. For many, this is an opportunity to have a meal at a restaurant that would usually be out of their price range. With Dine Out, guests can select to have a 3 course meal at a set price – either $15, $25, $35 or $45 depending on the restaurant. Some restaurants offer a lunch and dinner menu and a few select ones have brunch. Many places get booked completely fairly fast, so you will need to reserve your table quickly on the Dine Out website! There are 305 restaurants participating, so how do you choose? Here is our hot list that will satisfy any design and food lover! If you are vegetarian or vegan, the Acorn is definitely worth a visit! Their primarily vegetable-based menu is sourced locally and is artfully created by their chefs. The plates look too beautiful to eat! Did we mention that the restaurant atmosphere is also very cozy? The Acorn’s $45 dinner menu for Dine Out offers 3 to 4 options for each of the appetizers, entrees, and desserts – which is more than most Dine Out restaurants. They all sound mouth watering and if one visit is not enough, they will be switching up their menu halfway through the festival, so you can have a whole different experience if you decide to visit a second time. Renowned for their prime cuts of steak, Black & Blue is perfect for any meat lover. Located on Alberni Street downtown – Vancouver’s emerging restaurant row – Black & Blue is expansive, spanning a stunning three-level space. 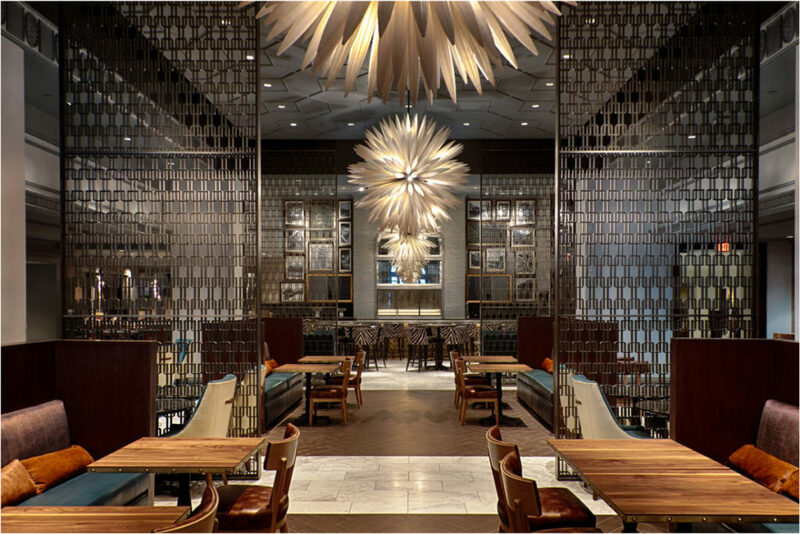 The restaurant offers a New York vibe and is anchored by Tom Dixon’s ‘cloud of gold’ light fixture in the center of the space. The Dine Out lunch and dinner menu is identical and is offered at $45. Each menu item also has a suggested BC VQA Wine/ Beverage pairing if you wish to get a full experience. For those who really want to splurge on their night out, you can add $80 to have the 6 oz Japanese Wagyu Steak as your entrée! 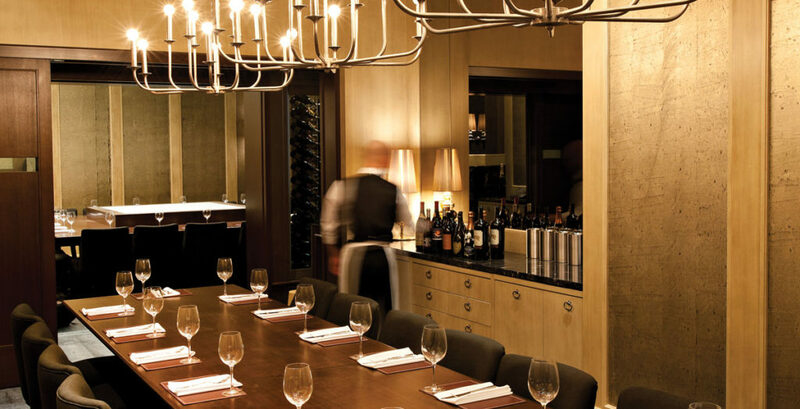 Take a step into Canadian history and have dinner at Notch8 in the Fairmont Hotel Vancouver. Embodying the timelessness of the hotel, Notch8 is the perfect blend of new and old world charm. The warm woods, brass details and rich colors used in the space is a nod to the bygone era of luxurious railway hotels of the early 1900s. 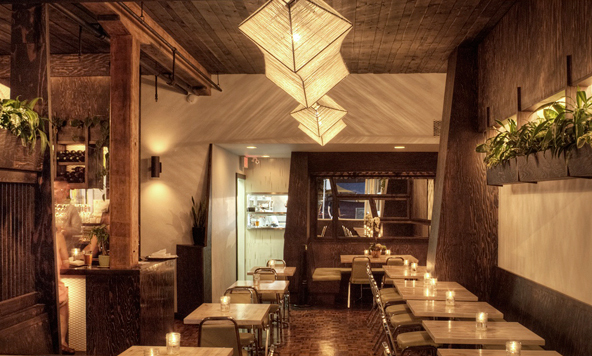 The food is as classic as the space and the $45 Dine Out dinner menu sounds absolutely mouth-watering and exquisite. It is without a doubt West Coast in cuisine with Qualicum Scallop, Golden Ocean and Roasted Chestnut Dark Chocolate Mousse being the menu items we are eyeing!